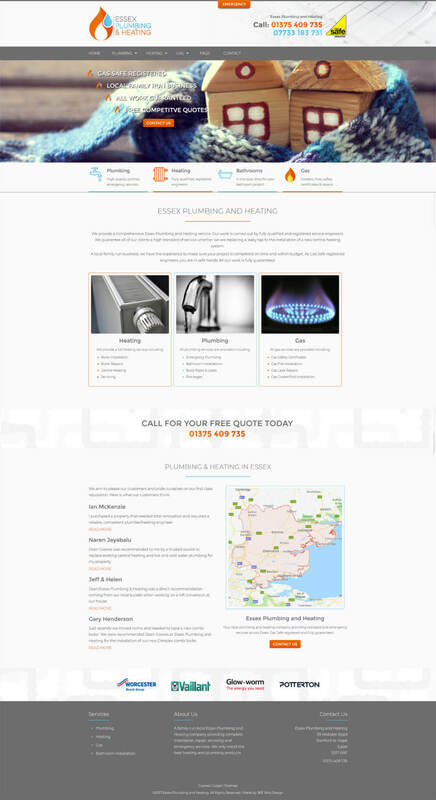 Essex Plumbing & Heating are fully qualified and registered plumbing and service engineers in Essex. 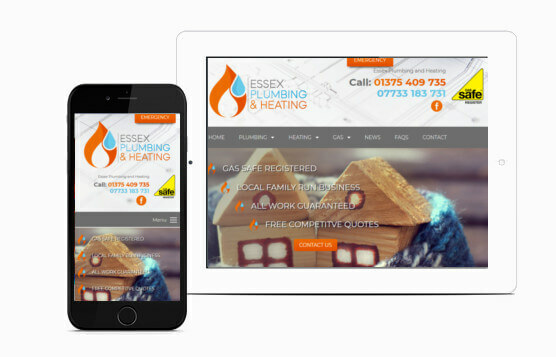 Essex Plumbing & Heating were looking to replace their existing website with a new solution that gave them a more professional web presence, broadening the SEO targeting and providing the ability to easily add news articles. We started from scratch with this one creating a brand new logo and designing the website to ensure that it was full of content about all the services provided. Carefully targeting the pages correctly the new website built on the original rankings and broadened the search terms that it now returns for. The new clean, attractive and easy to use design then converts more visits into enquiries than before. With a WordPress news section to allow quick and easy addition of articles the site allows regular additions to be made easily. Passing mobile friendly tests and page speed checks it is also opens quickly and remains easy to use on all devices.